For Kannada actor Vasishta, who is better known for playing villainous roles back home, it’s a good feeling to turn hero with Karaioram. The film is directed by Kannada director JKS, who is debuting in Tamil. The film also has Nikesha Patel and Iniya as his co-stars. In a chat with City Express, the youngster talks about his Kollywood debut and the strong connection he shares with this industry. 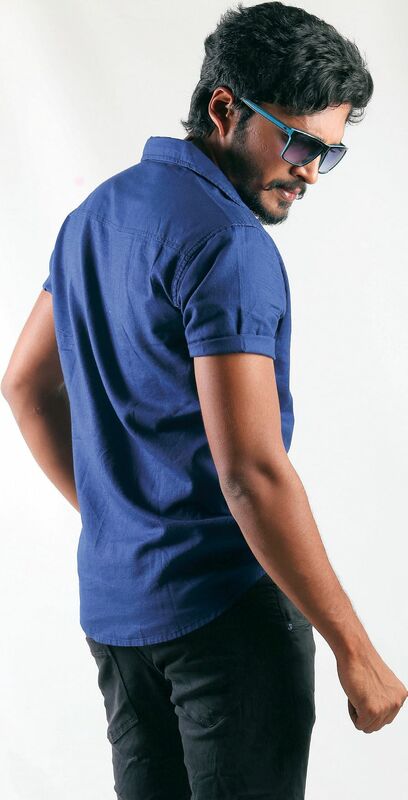 “You could say that my link with the Tamil industry started even before my first Tamil film,” says Vasishta with a grin. “I acted in the Kannada remake of Sundarapandian and played Vijay Sethupathi’s character with negative shades in it. Then, I also acted in Rudra Tandava, which was a remake of Susindran’s Pandiya Nadu, where I played Harish Uthaman’s negative role. I’ve heard a lot about the Tamil industry and so when this opportunity came along, I grabbed it.” Vasishta has acted in nine Kannada films so far, but he hadn’t planned a career as an actor as he started out aspiring to be a singer and trained for it. However, his parents insisted that he pursue his education first. “So, I graduated in Computer Applications and worked at Accenture for some time.” But the acting bug bit him somehow and he started dabbling in Kannada theatre before film offers came his way. Now, destiny has led him to Tamil cinema, and he’s loving every moment of it. “I’m learning Tamil and I’m excited about the shoot. We’ll be shooting Karaioram along beaches and the coast. It’s a travel film that reaches all the way from Chennai to Mangalore and is a thriller.” For the actor, who has been playing mostly negative roles back home, it’s a huge high to make an entry as the hero in his debut Tamil film. An avid watcher of Tamil films, Vasishta says that his favourite actors are Rajinikanth and Ajith, while among the newer lot it’s Vijay Sethupathi and Sivakartikeyan. Looks like his links with Kollywood is destined to continue even when he goes back home. “My next Kannada film is with Kollywood’s Kathir, who is now directing a Kannada film. It’s titled Nan Love Track and set in release by the year-end. The best part is I’ll be playing the lead role.” With so much going for him, it would seem Vasishta is all set for a good innings in two industries.